Who thought it was a good idea to put ‘Pokemon Go’ in the Holocaust Museum? It's been a mystery to many trying to wrap their heads around "Pokemon Go," but there is a relatively simple way locations have been chosen for the mobile game. 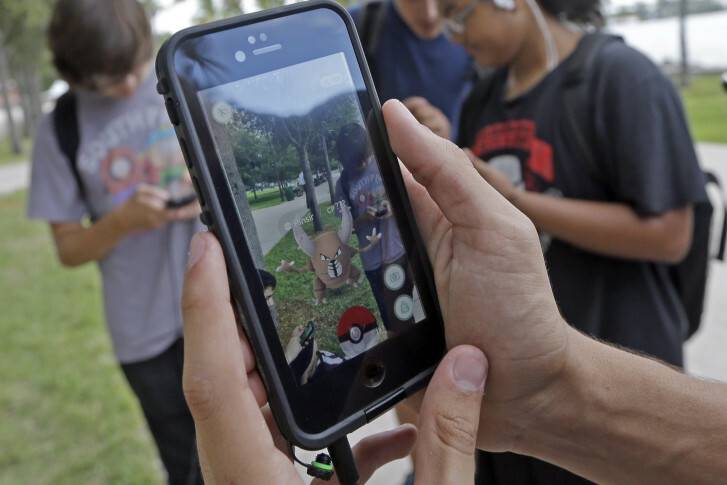 WASHINGTON — The exploding popularity of “Pokemon Go,” the location-based mobile game that encourages players to capture and battle virtual creatures on their smartphones, has some putting index finger to lips to shush players, and others scratching their heads. Why are “Pokemon” showing up at solemn national memorials, including the U.S. Holocaust Memorial Museum? For those struggling to wrap their minds around the technology that has people staring at their phones while wandering through cities and towns, it helps to understand some basics. Here’s the bottom line which explains why so many people in the past week have been staring at their phones while purposefully striding: They’re walking toward a “Pokestop,” so they can catch some “Pokemon” when they get to the location. Within days of its release last week, the National Park Service and Holocaust Museum, among others, began reminding enthusiastic “Pokemon” players that yelling, moving, and cheering aren’t appropriate in such sober surroundings. Who decided that it was a good idea to have “Pokemon Go”-crazed players traipsing through memorials in search of virtual characters? Gamers did. At least indirectly. “These places became ‘Pokestops’ because of ‘Pokémon Go”s relationship to another game, Ingress,” said Christine Movius, application developer at Arlington, Virginia-based mapping service Blue Raster. After 15 million submissions, Ingress approved approximately 5 million locations worldwide, Niantic’s CEO John Hanke told Mashable. “Whether or not places knew it, the ones that are currently ‘Pokestops,’ they were already portals for Ingress for multiple years, but it wasn’t quite as obvious at the time because it hasn’t exploded like ‘Pokemon Go’ has,” said Movius. The challenge for businesses or landmarks that would prefer to not be a part of the “Pokemon Go” craze is that there isn’t a way to remove their location from the game. Many businesses are delighted to be listed as ‘Pokestop,’ said Movius, citing the National Park Service. “Since ‘Pokemon’ is encouraging people to get outside, they are encouraging players to reach out to park rangers and see how they can integrate and see how they can integrate learning about the national parks while catching ‘Pokemon,'” she said. In fact, the National Park Service will host ranger-led Pokemon hunts on the National Mall this weekend. Businesses dependent on foot traffic are enjoying the results of being stops. Those businesses can purchase extra features in the app, to help bring customers to their location. With its record-breaking popularity for the free app, Niantic will soon introduce new ways to make money, including allowing businesses to sponsor locations, according to several reports. Movius said even a small business — for instance, an independent coffee shop — can benefit from linking to the “Pokemon Go” experience.